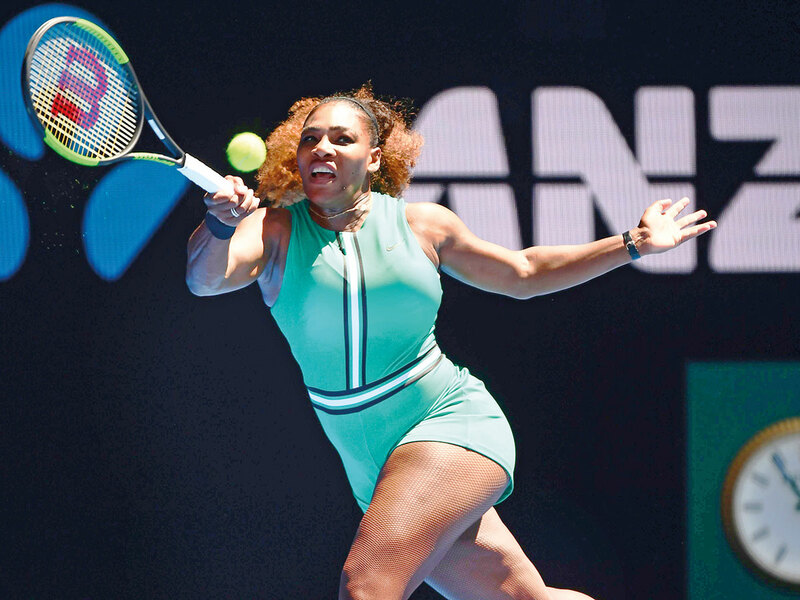 Melbourne: Serena Williams and Novak Djokovic’s relentless drive towards more Australian Open glory cranked up another gear on Saturday with third round drubbings, as Naomi Osaka and Elina Svitolina survived big scares to stay in the hunt. The 37-year-old, seeded 16, has dropped just nine games in her three matches so far and will face either sister Venus or world No. 1 Simona Halep for a berth in the quarter-finals. Next up is world No. 1 Simona Halep, who hit form to cruise past Venus Williams to set up a mouth-watering last 16 clash. The Romanian top seed defeated Williams 6-2, 6-3 in one hour 17 minutes to post her best performance so far at this year’s tournament after struggling through the early rounds. Svitolina struggled with a painful shoulder complaint that required treatment at every changeover, and medical timeouts, before somehow beating China’s Zhang Shuai 4-6, 6-4, 7-5 as the temperature rose in the centre court sunshine.